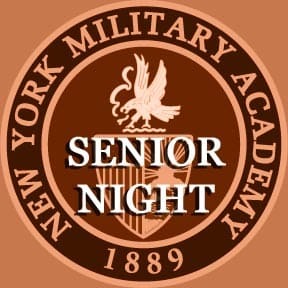 This past Saturday (2/17) was Senior Night at NYMA. The Varsity Basketball Team hosted Hoosac and won by the score of 80-38. Senior Adam Quinn announced all of the NYMA Seniors as well as the Hoosac Seniors! NYMA Seniors included: team managers Phil Kim and Amanda Beller, cheerleader Sarah Elhouti, and basketball players Braden Evans, Charlie Qin, Brandon Fooks, Jalen Ricks, Zaahir Woody, Zamere Mckenzie, Will Mayfield, David Pinto-Ricardo, and last but not least, First Captain Nigel Petti-Fernandez. Congratulations seniors and to the basketball team for the big win on the big night!